Memorial services are scheduled for 11 a.m. Saturday, March 17, at Trinity Temple Assembly of God for Johnny P. “Pauly” Hutson of Artesia. 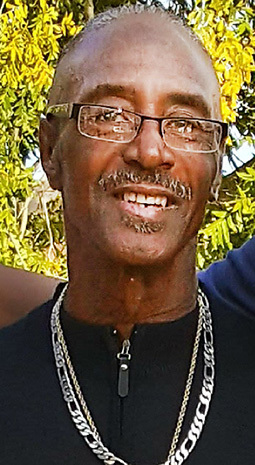 Hutson, 66, passed away Saturday, March 3, 2018, at AMG Specialty Hospital in Albuquerque with family in his presence. Evangelist W.H. Hutson will officiate the services. Cremation has taken place. Paul was born Nov. 14, 1951, in Santa Fe to Haywood Hutson and Jimell (Kelly) Harvey. He grew up in Artesia and Carlsbad. On Dec. 27, 2014, he married Senaida G. Lopez in Artesia. He worked for SD Services as a shop manager and for Elite Maid Services. Outside his dedication to work, he enjoyed having barbecues, visiting with family, listening to music, and detailing vehicles. Survivors include his spouse, Senaida Lopez, of the family home; mother Jimell Harvey Hutson of the family home; children Isara Lopez and Shelby Johnson, both of Albuquerque, Joshua Hutson and Caylan Hutson, both of Artesia, John Paul Hutson and wife Becky of Midland, Texas, and Brardan R. Hutson of Riverside, Calif.; brothers and sisters Donald Hutson of Artesia, Willie H. Hutson and wife Marcela of Austin, Texas, Wilma Jackson of Phoenix, Ariz., and Linda Harvey of Albuquerque; and numerous grandchildren and great-grandchildren. He was preceded in death by his father, Haywood.